For people too old or too sick to undergo open-heart surgery for aortic valve replacement, there is a new minimally invasive procedure that can be done in about an hour and get them home the next day. “One 96-year-old left the hospital and went dancing three days later,” says Dr. Alan Niederman, an interventional cardiologist at Holy Cross Hospital in Fort Lauderdale. 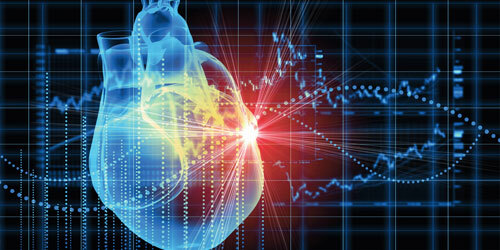 But people strong enough to undergo several hours of open-heart surgery can’t get the procedure called transcatheter aortic valve replacement, TAVR – yet. For now, TAVR is only approved by the FDA to save the lives of people who are at death’s door or who could not survive several hours of open heart surgery, Niederman says. The aortic valve controls the flow of oxygenated blood pumped out of the heart to the rest of the body. If it is too narrow – a condition called aortic stenosis – or if it becomes leaky and doesn’t close properly, the heart must work much harder to pump blood and that often leads to heart failure, blood clots and death. The condition affects about 300,000 people in this country each year and the standard treatment is open heart surgery followed by rehabilitation. Unlike the 96-year-old who went dancing, most of the candidates for the new procedure have been completely incapacitated by the valve’s deterioration and require extensive cardio and physical rehab following TAVR. Niederman says Medicare will cover the procedure only after the patient has been evaluated by a multidisciplinary medical team that decides it is the only option, and most of that team, sometimes as many as 30 people, also is present in the operating room. At Holy Cross, the procedure is performed in a new 2,000-square-foot hybrid operating room. “The hybrid OR is crucial to this procedure for a number of reasons,” Niederman says. It combines a full suite of operating room equipment with high-tech imaging equipment that can be used for the valve replacement, angioplasty and other minimally invasive procedures, but if complications occur, surgeons can quickly switch to full surgical mode if needed. The replacement valve includes a tiny collapsible cage that can be threaded up through an artery in the groin or a small incision between the ribs and put in place without stopping the heart, Niederman says. The imaging equipment allows the medical team to see inside the patient’s body as the new valve is maneuvered and anchored in place. While Holy Cross was the first in Broward County to offer the procedure, several other hospitals in South Florida now offer it including JFK Medical Center in Palm Beach County and the University of Miami Miller School of Medicine, which was involved in the clinical trials that led to FDA approval of TAVR for its current use. Niederman says the procedure eventually may become the standard treatment, allowing all patients to be treated using the minimally invasive method.